On June 11th 1982, a battle ensued between the IDF and Syrian & Palestinian forces close to Sultan Yaqub, a Lebanese village. There was a Syrian ambush in the dark and during the battle, six Israeli soldiers went missing. Three of them have since been returned to Israel, but the other three – Tzvi Feldman, born December 29th 1956, Yehuda Katz, born July 18th 1959 and Zecharya Baumel, born November 17, 1960, were all classified as Missing In Action (MIA). Until this week, that is, when news broke that the body of Zecharya Baumel had been found and returned to Israel and Zecharya’s family. This operation was made possible by Israel’s close cooperation with Russia, a close ally of Damascus, and took two years to complete. Former defence minister Avigdor Lieberman was the one who pushed for the operation to take place. According to reports in Lebanon’s Al Mayadeen news channel, Baumel’s remains were identified in the Yarmouk refugee camp near Damascus, following the withdrawal of Islamist terror group ISIS from the area. Sgt. 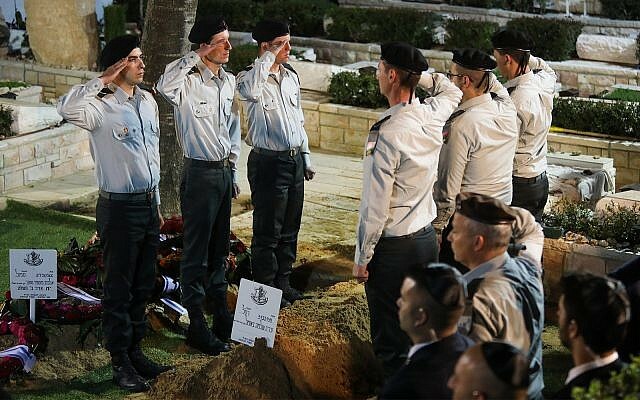 First Class Zachary Baumel was laid to rest in Jerusalem’s Mount Herzl military cemetery on Thursday evening, 4thApril 2019, almost 37 years after his death. Zecharya was just 21 at the time. Thousands turned out for the ceremony, where Baumel was eulogised by President Reuven Rivlin and Prime Minister Benjamin Netanyahu, among others. Also attending were Baumel’s family, friends, IDF Chief of Staff Aviv Kohavi, former chief of staff Gabi Ashkenazi, Culture Minister Miri Regev and top officials from the IDF’s armoured corps, Baumel’s unit. Osna Haberman, Baumel’s sister said: “All of our prayers during these 37 years went to one place and we’re here. I thought about what I would do here in this place. I can’t even embrace you. So I thought to turn to the ground and ask the land to embrace you. After a few minutes I understood that I don’t even need to ask. The land embraces you so strongly. And why? Because there is absolute love between the son that gave everything for the land and the land itself, and there is a perfect union here. You are together now,”. 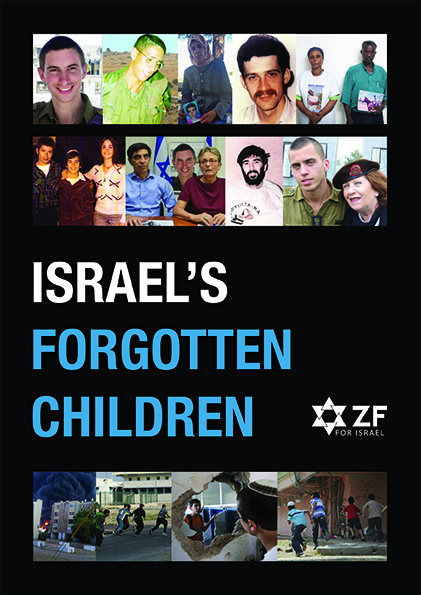 The theme of the ZF’s 2019 Lobby Day for Israel was Israel’s Forgotten Children – its missing soldiers and the children living in Israel’s southern communities whose lives are lived under the constant reality of terror from Gaza. Zecharya Baumel was featured in our booklet which can be downloaded here or by clicking the image below.